Canada’s housing affordability is at its worst level since 1990 and its going to get worse. 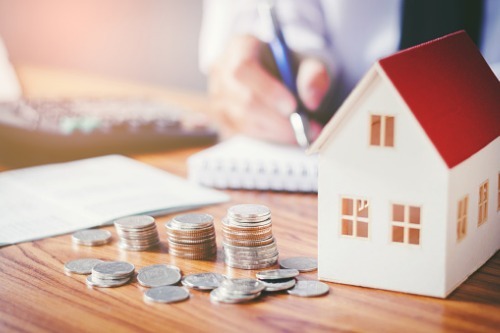 A newly report from RBC Economic Research shows that its aggregate housing affordability measure was 53.9 in the second quarter of 2018, based on the share of household income required for ownership costs including taxes and mortgage payments. The figure is up from 43.2% just 3 years ago and although house prices are responsible for the initial rise, interest rates are the bigger influence of the past year. Since Q2 2017, the index has increased 2.6 percentage points and there was a 1.1 percentage point rise quarter-over-quarter. The impact of the mortgage stress test has added to the burden for first-time buyers. "The grim outlook for prospective home-buyers will likely continue in the near term," said Craig Wright, Senior Vice-President and Chief Economist at RBC. "We anticipate the Bank of Canada will proceed with further interest rate hikes well into 2019. This will keep mortgage rates under upward pressure and boost ownership costs even more across Canada." Condo affordability worsened more than single-family detached homes, especially in Toronto. Affordability in Toronto and Vancouver remains at staggering levels with an average GTA buyer facing a burden of 75.9% of their income to cover costs, up 1.8pp in the quarter. In Vancouver, the situation is even worse having risen 8.2pp over the year and 1.6pp in the quarter to 88.4%. "The prospect of further rate hikes doesn't bode well for Toronto or Vancouver buyers, whether they're on the look-out for a condo or a single detached home," said Wright. "Affordability pressures are likely to become an even bigger issue for them, which we believe will limit how much home resale activity will rebound from its recent cyclical low." Victoria is also showing strained affordability with RBC's aggregate measure up 2.4pp points to 65% in the second quarter. Only St John’s saw a slight improvement with other markets generally manageable. For first-time buyers the ability to afford a home is not going to get any easier any time soon. RBC Economics expects intensifying affordability pressures to hold back homebuyer demand in the coming year.